The Nikon D7500 is a complex camera with more than 100 menu options, and it isn’t easy to know how to set everything properly. This guide covers the most important settings and how to pick them for your own photography. Keep in mind that these are personal preferences, and you may end up setting some of them differently, but this is a good place to start. The information below should help you understand how to use the D7500 to its full potential if you are feeling confused about some of the settings and menus it has. 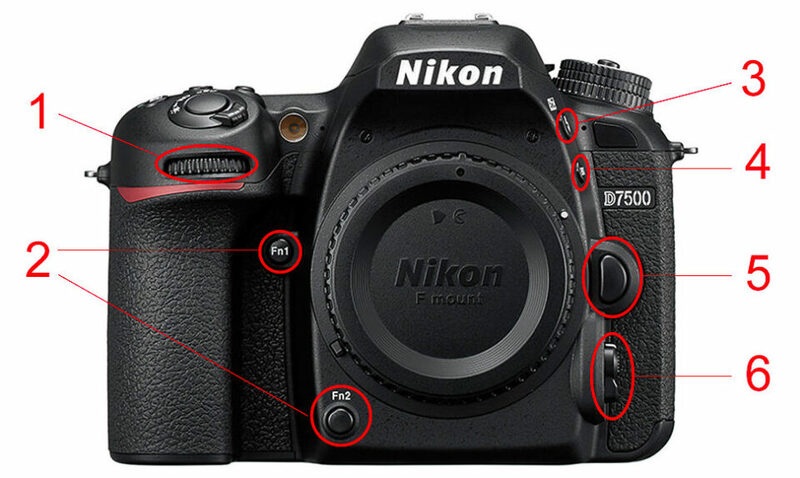 The Nikon D7500 has a number of buttons, switches, and dials that are worth learning before you dive into the menu. Ideally, you will only enter the menu on rare occasions, and you’ll set as much as possible via these external controls simply because it is faster. The dial (called the “Sub Command Dial”) does a huge range of tasks, and it depends upon the mode you’re in and the buttons you’re pressing. Chances are good that you’ll be adjusting this a lot. The Fn1 and Fn2 buttons are completely programable. They also let you do a host of tasks, and I’ll cover all the options under the “Custom Setting Menu” section below. The flash button pops up the flash when you press it. (To put it down, you just push the popup flash itself.) Also, by holding this button and spinning the sub command dial on the front of the D7500, you can adjust your flash exposure compensation. The BKT button stands for “bracketing,” which means that a series of photos you take will be (intentionally) metered differently. People use this so they can automatically take a series of photos from dark to bright, either to combine into an HDR or make sure that they are capturing good exposures. Press this button and rotate the command dials to change your bracketing settings. Personally, I leave this turned off; I typically adjust exposures manually if I need to bracket a series of shots. But if you do a lot of bracketing, you might find it useful. The large, unlabeled button is what you use to switch lenses. Press this button and turn the lens to the left (looking down on it) to remove. The AE-L AF-L button at the top is another one you can program to do several tasks. By default, it locks the exposure while you hold it down. However, I strongly recommend assigning this to AF-ON in the menu (which I’ll cover later in the “Custom Setting Menu” section). The direction pad with OK in the middle is how you’ll select everything from menu options to focus points. You often can click the right-hand arrow rather than the OK button itself to select something, which is highly useful if you are wearing gloves. The switch around the direction pad, which goes between “L” and “•,” will lock your autofocus point in place so that you don’t accidentally move it. This can be useful in certain conditions, but it’s also the first setting you should look at if your autofocus refuses to move! The dial on the back is called the “Main Command Dial.” It’s extremely useful, since you’ll spin it to adjust nearly every setting on the D7500. Often, you’ll press down a button on the camera and spin this dial to change something quickly rather than resorting to a menu. The LV button at the bottom opens live view, which switches from the viewfinder to showing everything on the camera’s rear LCD screen. The benefit of live view is that you have a better idea of what your sensor is seeing, but the downside is that it takes up more battery and makes autofocus slower. I tend to use live view for landscape photography, and I use the viewfinder for things like wildlife and portraits. The switch around the LV button changes you from stills to video mode. It only impacts things when you’re in live view; you can’t film video while looking through the D7500’s viewfinder. The button on the bottom left with the green dot next to it, right above the “info” button, is useful if you want to change metering modes – though, personally, I rarely use this, since I stick to matrix metering most of the time. The “i” button pulls up different menus whether you are in video live view, photo live view, or the viewfinder. It is just a small menu to do brief tasks; for example, in the viewfinder, it simply pops up your seven most recent menu settings. I typically do not press the “i” button while taking pictures, but this is a personal preference. The magnifying glass buttons will magnify your live view screen or zoom in on images you’ve already taken. All the other buttons are self explanatory or less important day to day. If you need additional info, you can find it all in your D7500’s user manual. At this point, it’s time to look at the buttons on the top. 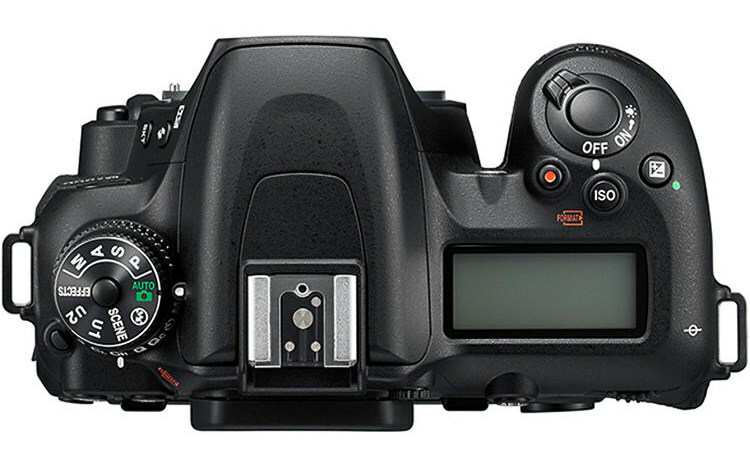 On the left-hand side, you can see clearly that the D7500 has a double-layered dial. To rotate the top dial, press down on the center button. To rotate the bottom dial, press down on the button to the side of it. On the right-hand side of the D7500, you’ll also find a number of useful buttons for day-to-day photography. I’ll cover all those here. The shutter button is what you press to take a photo. Half-press to wake up your camera’s meter, as well as activate vibration reduction. Also, by default, half-pressing will autofocus, although I recommend turning this off, since there are situations where it isn’t ideal to have autofocus coupled to the button that takes a photo. The switch around the shutter button turns the D7500 on and off. The +/- button with the green dot nearby will adjust your exposure compensation. Press it down and spin the main command dial. This is a very important way to help avoid overexposure or underexposure in your images. The ISO button adjusts your ISO when you hold it down and spin the main command dial. Also, hold it down and spin the sub command dial to turn Auto ISO on and off. The button with the red dot will start recording video when you’re in live view video mode. It also can be programmed to perform a few other functions in photo mode if you so choose. The top dial on the left is how you change between your various camera modes. You’ll end up doing this a lot, especially if you use the power of U1 and U2 modes (more on that below). For advanced photography, you’ll likely stick to the A, M, U1, and U2 modes. The lower dial on the left lets you change the camera’s firing behavior. It includes things like switching from single-shot to continuous-shot modes (where the camera just takes one photo if you press the shutter button, or it takes a burst as you hold it down). This also is where you’ll go if you want to use the D7500’s quiet shutter mode, self-timer, or electronic front curtain shutter (via mirror lockup mode). Next, I’ll cover the menu settings that you will find most useful on the D7500, starting from the top of the menu (the Playback options) to the bottom. Note that you also can press the “?” key on the back of the D7500 to learn more about certain settings in your menu, although this isn’t available for all of them. Those are all the playback settings that matter most, or aren’t one-time things (like creating a slide show). The “Payback display options” are useful, because they enable you to scroll through a few different pieces of information about a photo when you review it and press Up on the direction pad. However, the two settings that I consider most important are Auto image rotation and Rotate tall. The first is important to keep ON so that your post-processing software knows to flip vertical photos to the proper orientation. The second is useful when turned OFF so that you can review vertical photos more easily, where they take up the entire LCD rather than flipping and appearing quite small. That’s a decent number of options, but the good news is that you will not change most of these very often at all. You will almost certainly want to shoot your photos in RAW for most situations (see RAW vs JPEG), which renders many of the other settings irrelevant, since they are specific to JPEG (see “Which Camera Settings Affect RAW Photos?”). One that I will mention briefly is color space, which I have set to Adobe RGB, even though it is also a JPEG-only camera setting. The reason is that setting Adobe RGB can make the preview on the back of your camera slightly more accurate, since that preview is indeed based upon a JPEG (same goes with the Picture Control settings, and many of the others). On occasion, I will enable “Long Exposure Noise Reduction” if I am taking a picture in the range of 20-30 seconds and I am particularly worried about the digital noise my sensor might generate during that time. However, this will double the length of time it takes to capture a photo, since the camera takes two images in succession. If I have the time, that’s fine, but I leave it off by default because of the extra time it takes. The last setting I’ll mention is something I change quite frequently, and that is “ISO Sensitivity Settings.” For handheld photos of nonmoving subjects, I leave this at the settings listed above. By setting the minimum shutter speed to “Auto,” and keeping it at the center, the D7500 will automatically avoid using shutter speeds longer than 1/(twice the focal length). So, if I have a 20mm lens on the D7500, the Auto ISO function will not use a longer shutter speed than 1/40 second unless the ISO reaches above 3200. However, it is important to note that you may need to change this to be faster – biased toward the fastest possible setting, or manually selecting the longest shutter speed you allow – if you are shooting something like sports or action. And, for images on a tripod, I always leave Auto ISO turned off and select my ISO (usually base ISO 100) manually. Because of the importance of the ISO Sensitivity Settings option, I chose to put this as the top item in My Menu, and (as I’ll cover later) I also set one of the Custom Function buttons on the front of the D7500 to access the top item in My Menu. So, I can change these ISO settings very quickly rather than hunting back through the menu to find them each time. 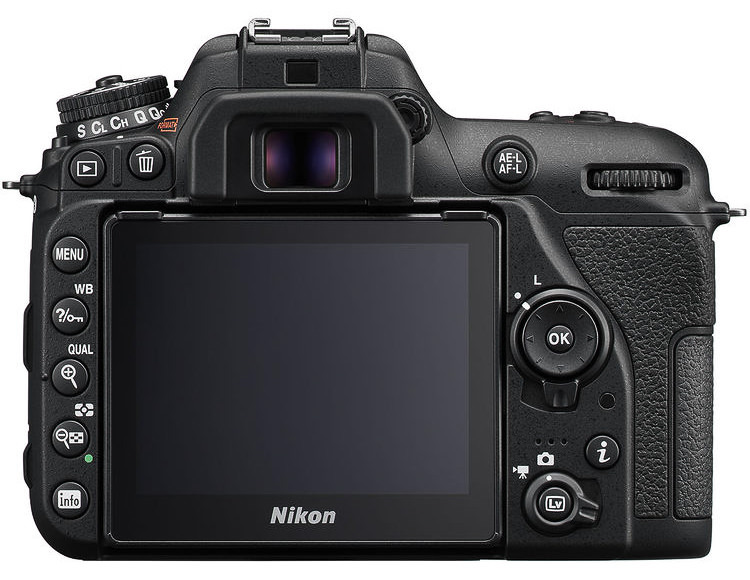 Some of Nikon’s cameras group the movie-related settings under the photo shooting menu, but the D7500 has a separate set of options for this purpose. I will cover those here as well. Choose image area: grayed out because I’m shooting 4K videos, but left at DX when I shoot 1080p videos. Most of these settings are simply the default values. When you shoot at 4K resolution, a few options will be grayed out. You might want to shoot at 1080p or lower due to an increased frame rate (60 fps) or to save space. As for ISO sensitivity settings, I leave them so that auto ISO will be off by default in manual mode, and I will set the ISO manually. However, this can be useful to keep on if you are working quickly in lower light conditions, and you don’t want to spend the time to find the right ISO setting manually. Next up is the custom setting menu (the pencil icon) which covers everything from autofocus settings to button assignments. This is an important section of the menu, and it’s where you’ll be most likely to change things from their default values. That is a huge number of options, so I will not go over everything individually, but it’s safe to say that you also have a lot of individual choice for these things, and some (say, “Monitor off delay,” which simply determines how long your camera waits before turning off the LCD) are entirely personal preference. However, there are a couple things I’ll mention because they are relevant for many photographers, or they are particularly important options. First, I strongly encourage you to switch “AF activation” (under “Autofocus”) to be AF-ON only, and then switch AE-L/AF-L (under “controls”) to AF-ON. This decouples your autofocus from the shutter button, meaning that your D7500 doesn’t refocus every time you take a photo (given that autofocus is on). Once a photographer tries AF-ON, also known as back button focusing, they rarely go back! Aside from that, I’ve found it useful to assign Fn1 and Fn2 to access the MY MENU options, since it provides a huge amount of flexibility. Just by pressing one button, you can immediately access the top item in a custom menu you create, or access that broader menu as a whole. This speeds up certain tasks in the field significantly, although you do need to put in some effort and create your MY MENU manually. Personally, I set AF-C and AF-S (the first two options in “Autofocus”) both to be release priority. The benefit here is that the camera takes a photo every time I press the shutter button rather than only when my subject is in focus and I’ve pressed the button. Some people prefer to set one or both of these to be focus priority, which works, but be aware that your camera may not take photos when you press the shutter button under this setting, simply because it thinks your subject is out of focus. One setting that I leave OFF above, but which can be useful for landscape photography, is Exposure Delay Mode (under Shooting/display). In this case, the D7500 will raise its mirror, wait the specified amount of time, and then take a photo, minimizing blur from mirror slap. However, because this adds a 1-3 second delay to each photo, I only recommend it when you are photographing something from a tripod. If you have any specific questions about the other settings, feel free to ask in the comments, since there simply are too many to explain them all in detail here. This one is generally not something you will touch after setting things for the first time, such as date and time. However, there still are a few settings within the setup menu that are worth covering, and I’ll go into them here. Note that I skip some settings simply because they require a high degree of personalization (such as language or copyright notice). Format memory card: Only click “YES” when you are fine with all the photos on your memory card being deleted (or that is your goal). This is irreversible, but it is good to do when you switch the memory card into the D7500 from another camera, or you’ve finished offloading all your images onto the computer and you want a clear card. Save user settings: This is a very useful option that will save all your current settings – including things like PASM mode, shutter speed, RAW settings, focus settings, and so on – to the U1 or U2 options on the top Mode Dial. For example, you may want to save your go-to family snapshot settings to U1 and your tripod-based landscape settings to U2 to switch between them easily. Touch controls: I turn them OFF, since I often trigger them inadvertently and prefer buttons I can feel, but many photographers will keep them ON. That covers everything! Again, all of these are the settings I personally use, but that does not mean you need to use the exact same ones. Cameras have such a huge number of options for a reason: Not all photographers have the same preferences, or are photographing similar subjects. So, if you have any questions about how to set the D7500 properly, or why I recommended certain settings rather than others, feel free to leave a comment and ask below. Owning a D500 I would like to know if in the nearby future you intend to do a similar article on that camera. Hi Jorge, it is our plan to do something like this for as many cameras as possible, including the D500, but I don’t think anyone on the team has that camera at the moment – so, it unfortunately is not one of the immediately upcoming ones. That said, most of the D500’s menu settings will be quite similar compared to the D7500, so you should be able to get some useful info out of this article. And if you have any specific questions, I will be happy to help answer them! Thank you for the information. I will try as you said and see if I can work it out. Sure thing! The button layouts of these two cameras are noticeably different, but many of the menu options will be exactly the same. Yes, we’d like to do more Olympus reviews and articles going forward! Hi Leslie, I assume you are referring to browser notifications? If that is the case, just click the red bell icon at the bottom right of any page on Photography Life, and you’ll unsubscribe. Otherwise, at the bottom of email notifications, just click the “unsubscribe” text. Thank you! Thank you, Dima, I hope you find it useful! And enjoy the D7500 – it is a great camera. Great, this is perfect timing! Best of luck with your D7500. I’ve just traded up from the D7100 and the timing of this article is just right, and spot on! I’m adding it to my reading list. Excellent, happy to hear it! Glad you liked the article. Interesting questions! I haven’t used the D5200, but I have used the D5100 and D5600 quite a bit, and I actually switched from the Nikon D5100 to the D7000 several years ago. To put it simply, the jump is a noticeable one for advanced users. This holds true whether you get the D7500 or something less expensive like the D7200 (an equally viable option). Being able to access your major controls so quickly, including things like a second command dial, makes a big difference – but only if you’re planning to shoot in modes like aperture-priority or manual. For photographers who prefer automatic or scene modes, something like the D5200 is more than enough, since the D7X00 series doesn’t offer any real changes in that department. It also depends upon what you shoot. The D7500’s improvements over the D7200 are primarily about speed/buffer and video, which may not be relevant in your case. Any of the D7X00 series cameras will offer the better controls that it seems like you are after. I hope this helps! Are these settings generally good for Milkyway/ nightsky / astrophotography too ? Yes. The main things that will change when you shoot Milky Way photos will be your shutter speed, aperture, and ISO, which I didn’t cover here, since they depend strongly upon what you’re photographing no matter what! A couple points, though: For Milky Way photos, you’ll probably want to be in Manual mode with manual ISO. Typical Milky Way settings will be something along the lines of f/2.8 (or whatever your widest aperture is), 25 seconds, and ISO 3200. But this also depends upon your lens. Oh thanks for answering that question and for the great and for me, timely article on the D7500. I just upgraded from my D5000. While at my age I am a bit overwhelmed with a great deal of the constantly changing technology I jumped in. Just figuring out how to find the setting and features on the new camera that l was use to using on the older one took a while. But I am getting there. Now I want to take my camera and your article and explore the setting. I will use your suggestions as my base of operation! Great article. This is great article thank you! I know we should try and explore these. But it might be helpful to many if you could share setting file .BIN. I think D7500 can load external setting file to load this. Just thought. I know you are mostly landscape, but do you have any experience with the 1.3x crop mode on the D7500? For the 70-300 mm lens it would provide almost 600mm equivalent, but only 12mpx. Also, would I lose another stop of light/aperture in this mode? Hi John, thanks for the question! There’s no real reason to shoot 1.3x crop on the D7500. It is no different than cropping your photo in post-processing (which you can do in batches to save time). The only benefit is that your file size would be smaller, but the D7500’s files aren’t exactly huge to begin with. 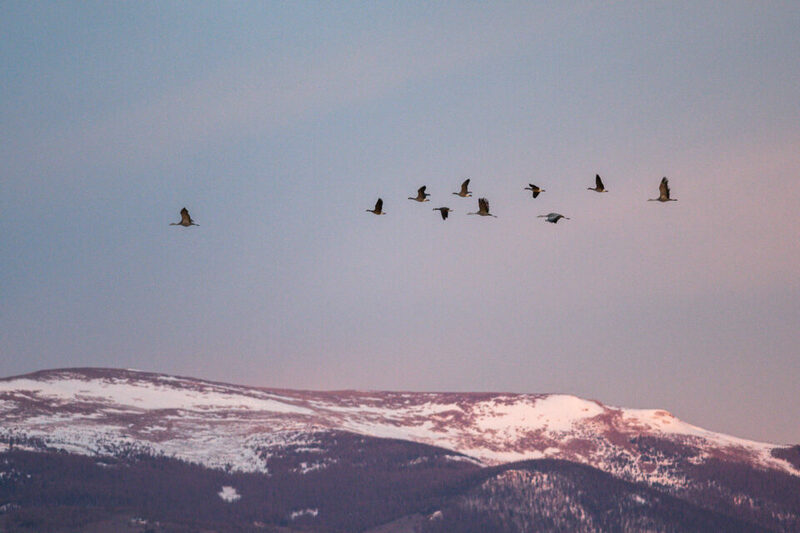 You wouldn’t lose any additional stops of light; it’s exactly like cropping a regular photo. Hope this helps! This is such a great ‘early days’ tutorial for a new D7500 owner. Pitched at just the right level, no messing, practical and time-saving. THANK YOU. Thank you for the overview of functions and settings that helps demystify some of the complexity of the D7500. Your straightforward bullet point approach to the information is clear and concise. Should receive my D7500 this week- stepping up from the D5600. Thank you, Thank you, Thank you. Taking up photography after a long length away, and was baffled with all the settings. Just picked up D7500. My main interest is bird photography. This article is very helpful, as I’m stepping up from a D3400 and trying to get used to the 7500 complexity compared to that. Still amateur level and hoping to grow into the 7500. Not a lot of info out there right now. Anyway. How would you set up autofocus for BIF? Thanks for your response. Thank you for this article! The best take away from your selections for me was your play back display options. I just upgraded my ten year old D90 to the D7500 and it was frustrating the heck out of me that I wasn’t able to see what settings my current photo was taken with. Thank you very very much for that! I just also picked up D7500. My main interest is action photography (dog shows). This article is very helpful, as I’ve recently moved up from a D3400 and trying to get used to the D7500 complexity compared to that. I am very amateur level and hoping to grow into the 7500. Not a lot of information out there right now. Anyway. What would you recommend as the optimal settings (dogs running around a ring) Capturing the perfect pic with hundreds taken of course! Upgraded to D7500 from a D90 (!) in the last few weeks. Blown away by the increased options! Thank you so much for helping to decipher them! I’m having a problem with video. When I place it on the tripod it’s slightly starts to pan one way or any other any ideas. I have a feeling it is something to do with the settings. Also what is your best advice for working with the auto focus mode while shooting videos. Seems to have a lot of error, and nothing on google seems clear about AF modes for video. Thank you very much for this great work! Just bought a D7500 after my first photography lessons. This is very helpful for me! thank you for this info. After adding all these settings to my camera, specifically the back button focus (which I like), I find that the back button only works correctly when I set AF-C “auto”, any other point used like d9, etc. causes the shutter button to focus in addition to the back button.